Looking to Style Your Home with the Best Swansea Blinds this Season? Have you ever given thought to the purpose of window blinds? Yes, it is most definitely a decoration, an ornament for your windows which lifts the style of your home, house, flat or office. Regardless of the space, there is the need for window blinds not just excellent looks but also to serve its purpose of controlling the natural lighting indoors. The colour, style and overall, look is definitely a priority! With style & sophistication for every room in different requirements, colour is an important aspect. We will look through some of the most popular and widely available colour styles for Swansea blinds to enhance the look of your home. Every room, whether it’s the kids’ room, your room, the kitchen, dining or living area, has its own persona. This must be captured with the specific design motif and aesthetic quality. You may not decide on a colour after reading this, but you will know your options. So, this is a quick guide to help you to make this decision easier. Best Swansea Blinds: The Many Colour Styles for Your Choice! There are various different tones and colours which can be implemented on a particular style of blinds. Here are some of these great colour schemes for Swansea blinds which will give you a few ideas on the look you desire for a particular space in your house. Natural or earthy look for blinds is not an easy decision. There are many issues such as the options available with faux wood and natural wood blinds Swansea variations. Wood is a big category with bamboo for Zen-inspired spaces. They are also a very eco-friendly option and creates a naturalistic environment. Bamboo grows very vast, making it sustainable and affordable. They are the ideal choice for getting natural and earthy theme for the particular space. 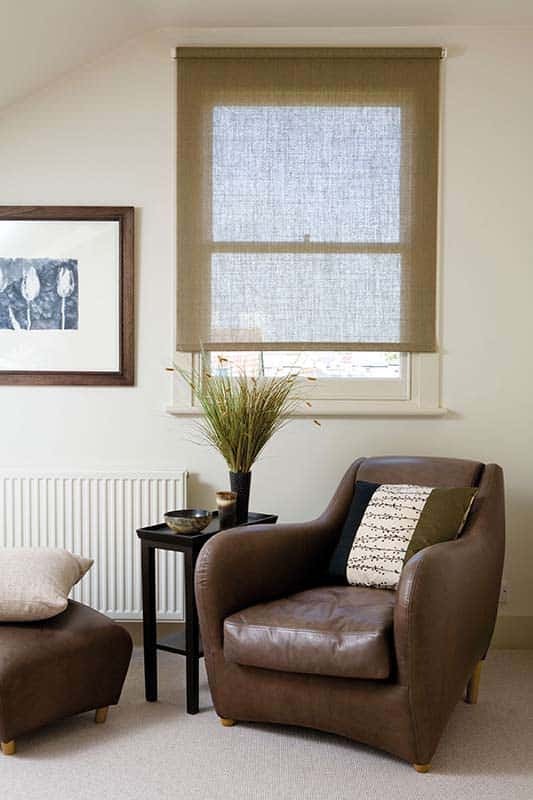 Modern Swansea blinds can easily be placed in any room with neutral colours. But if you require a clean, simplistic, and fresh feel, you should get neutral-coloured blinds, which will explicitly bring about a modern look. Darker shades of it will give a more masculine look if the neutral colour is too soft. If you are into art and require something which is original and artwork inspired then you can do that with Swansea blinds which are dark coloured. Contrary to popular belief, blinds can be very much eclectic too! 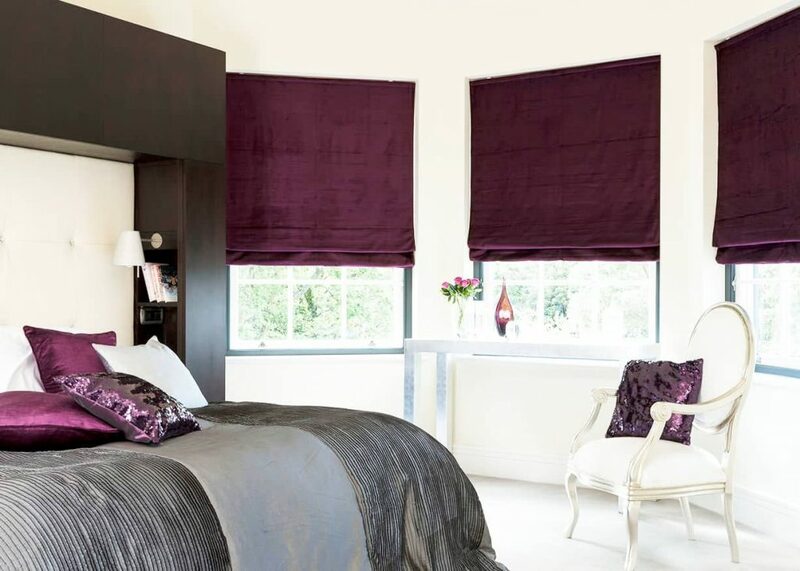 You can witness the effect with many dark-coloured Swansea blinds within eclectic spaces. It lightens up the mood in any room! If you are into the trend of back in the day, then you can go for that ‘50s and ‘60s design, as well. Blinds can go retro and funky or even Scandinavian and sophisticated. 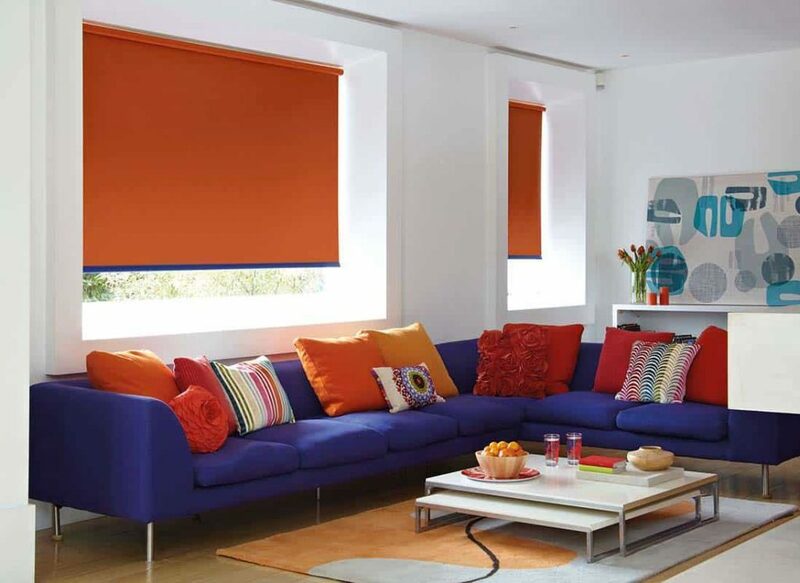 So, if you fall in love with the thought of bold-coloured honeycomb blinds, then this is the look for you! Blinds come in a range of unique colours, so you will find one colour that is suited to your style. You can never go wrong with a traditional look! You can complement well-appointed formal or traditional living spaces using real wood blinds with rich mahogany stain finish. Such blinds give a classic, traditional look which will suit the tastes of even the worst of your days. Since we have covered the many options to style your Swansea home with blinds, you will have better chances of making a decision which is worthwhile for your desired style, quality and budget. Book a free, no-obligation meeting with an expert for Blinds Swansea… TODAY! Take advantage of buying from us with all these wonderful benefits and choose from the massive blinds Swansea collection. If you already have great looking window blinds then you can think about upgrading to the technologically advanced and automated options of motorised blinds. 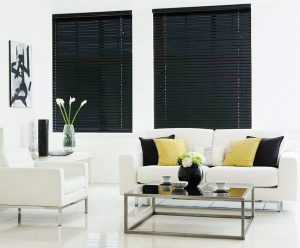 So, visit our website to find all of the best blinds Swansea collection at 3BlindsNice.co.uk! Get in touch for a free quote or schedule a consultation call with a professional to visit you and get your new blinds delivered and fitted within the week! You can even get in touch with a Swansea blinds agent in many ways: call at 02920832631, email at sales@3blindsnice.co.uk or fill out an online form and we will contact you! Looking to enhance the look of your home for the Easter Holidays? Decorating homes, whether it’s a simple task as a new painting, a new showpiece for the living room or new china for your kitchen, is something we all love to do! One of the biggest updates you can give your home is new window decorations using stylish window blinds. But this may get difficult considering the amount of time, energy & costs of installing new blinds in your home. What if I told you, this doesn’t have to be such a troublesome task at all! If you are looking for Cardiff Blinds to be installed in your home, then you are in for a treat. Blinds Cardiff is the speciality of 3 Blinds Nice! Before you get started with your desired selections for the perfect fitted, stylish window blinds for your home, office, or a particular room in your house, you must consider a few things. Factors to consider is the time you must take out from your busy lifestyle, the energy you put into to get the installation right and of course, the overall cost of the whole service. Without further fluff, let’s get right to it! One of the first things that many people consider when thinking about the high installation cost of window blinds, is DIY or doing-it-yourself. DIY is truly a brilliant idea… but if you are new to installing blinds or just unaware of the precision and accuracy needed to complete such a job, then it doesn’t sound like a great idea. Truth be told, the reason for many people to consider the difficult task of DIY for installing their blinds is the fact that the installation is very costly. We take the hassle away from your hands, and leave it to the professionals that are trained to do this day in and day out for the most competitive prices. With every blinds Cardiff order in 3 Blinds Nice, we will install the window blinds for you. No hassle and no additional cost to you! A job which will be done perfectly by professionals for beautifying your home, office or room with the trendiest & stylish window blinds. Are you not sure about what type of blinds you want? Confused about Vertical blinds or Venetians blinds? It is perfectly natural to feel overwhelmed with the decision of choosing from the many different types of blinds and choose one which is right for your home or a particular room! Browse through our website for the different types of blinds, the best place in your house for each type and also, check out our blogs to learn more about blinds and the many related issues. A plastic hook which is mainly used as a child safety mechanism on blinds to securely hold together the free hanging cords. These are individual pieces of fabric or wood which can be tilted to allow for light exposure and gives you complete privacy control. This is a long, thin, plastic device which is used to tilt or close the window blinds. This is a control mechanism which is specifically for roller blinds and Roman blinds. It is fitted with a bobble-chain. What are perfect fit blinds? Many customers are thrown-off with thePerfect Fit Blinds. Perfect Fit blinds is most commonly explained as made to measure blinds. These are blinds which are on a discreet frame that can easily clip between the beading and glazing of uPVC windows. It is actually a great choice for all the different rooms in your home. It can be wiped clean using just a dry piece of cloth. How it works is that it is a clear wand to tilt the slats with a tab handle which is used to raise and lower the blinds. The name is derived from the fact that it seamlessly fits into the window pane. You can pick and choose between a range of fresh & lively colours, with bright shades and other styles. So, you can book your free, no-obligation, appointment for Blinds Cardiff Today! We have discussed the disadvantages of DIY installation for blinds Cardiff. Also, the advantages of having professionals to get the job done right at the first time. 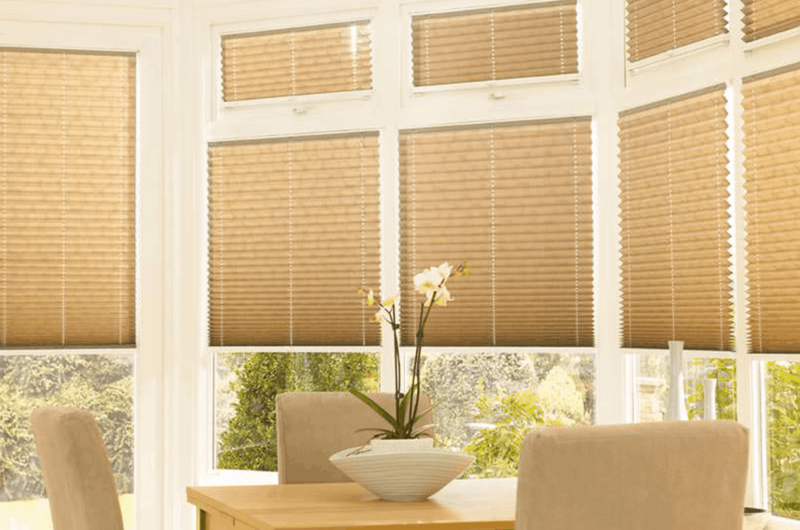 Book your free no-obligation appointment for Blinds Cardiff… NOW! Given the wonderful advantages of buying from us, you will be ready to select your choice of window blinds from our massive collection. If you already have window blinds then you can consider upgrading to the automated motorised blinds. Also, learn how you can decrease your energy bills by cutting down on heater use and using natural lighting better in your home, using our high-quality blinds. So, visit all of the best blinds Cardiff collection at 3BlindsNice.co.uk! You can give us a call and a friendly sales team member will be able to book an appointment convenient for you. You can book online too! Just select a date & time slot convenient for you, then click Book Appointment. Don’t see the appointment you want? Give us a call! You can even call to discuss materials and prices at 02920 832 631. Or send us a quick mail at our email address sales@3blindsnice.co.uk and we will contact you! Ever thought about why you need blinds and shutters? Given a few moments, I am sure you can come with a few reasons as to why you may need blinds for your windows. But have you ever thought about how it may save hard-earned money on your bills? May be you are just unsure of which blind or blind fabric to choose? We will talk about some traditional and modern-day benefits of using window blinds and shutters. Why should you trust what we say? For starters, 3BlindsNice.co.uk is one of the leading providers of professional services for blinds in Cardiff. So, whether you search in Google or even think about Blinds Cardiff or Cardiff Blinds – you will find us at the top! Not only do we hold some of the largest and best collection of shutters & blinds in Cardiff, we try to share as much valuable information as possible with our customers, followers and readers using our online blogs – such as this one for our professional services! Without further ado, let’s get back to our topic today – the top reasons why you would need window blinds and shutters. As a bonus, you will also find some of the commonly unheard-of benefits from using blinds and shutters. Curtains have always been one of the top most popular window decorations and continue to be! But, one of the biggest disadvantages of traditional window decor such as curtains is the lack or inability for you to control the natural light. Curtains can either be opened or closed, either way the amount of light entering the room or blocking it is not in your full control. Blinds Cardiff have some of the most advanced technology blinds for control – both manually & automatically! Check out how you can use innovative remote control through motorised blinds Cardiff. Not only can you control the light passing through your windows in the dim days or even in the brightest of days, it also gives your desired level of privacy! Cardiff blinds & shutters have become one of the most popular window treatments, especially in the Cardiff area for a number of years. With our exceptional quality blinds, you can ensure your privacy and security at home or in office. No peeking or poking out from inside your window, you can elegantly twist the wand or pull the cord to look out. With the right set of blinds in Cardiff, you can, not only secure your home privacy, but also, manage the natural lighting to your advantage. Window blinds can be created using materials to protect your loved ones inside your home from harmful UV rays and other harmful sides of direct sunlight. The protection from harmful sunlight rays is not only for your skin but also for your pets or furniture. Too much of sunlight especially these harmful rays can be deadly to people and pets. Also, they can ruin your furniture built from particular materials. By effectively controlling the light, you protect the light & heat entering your home during the day. Also, you can do the opposite to keep away unwanted cold during nights. A perfect solution for harsh summers and harsh winters. We have briefly touched upon the beauty and safety provided by window treatments and decorations such as curtains, blinds & shutters. Let’s get a detailed look of how you can do so with some of the exceptional variations of window decoration products. We always look at newer ways to decorate our homes with all sorts of interior decorations. One of the most elegant ways to beautify your home is through using window blinds! Not only will you beautify and get practical benefit of using blinds, it will also improve the appeal of your house inside and out. Window blinds are available in a wide variety of not only styles, colours, and patterns, but also in a range of types. The different types of blinds complement the unique look of each room and its specific purpose. Window blinds of each type are more suited a particular type of window or specific rooms. Regardless, there is nothing wrong with using the same blinds on all windows in the house, if that’s what you like. Traditional Blinds are designed to fit particular sizes of windows, but for the perfect fit blinds in Cardiff, you can use our Perfect Fit Blinds! This eliminates the need for you to try and fit standard blind sizes to your windows. You can even pick out which type of materials you want to use and whether you want to use it manually or using motors for remote control. For example, vertical blinds are more ideal for larger windows or sliding glass doors. 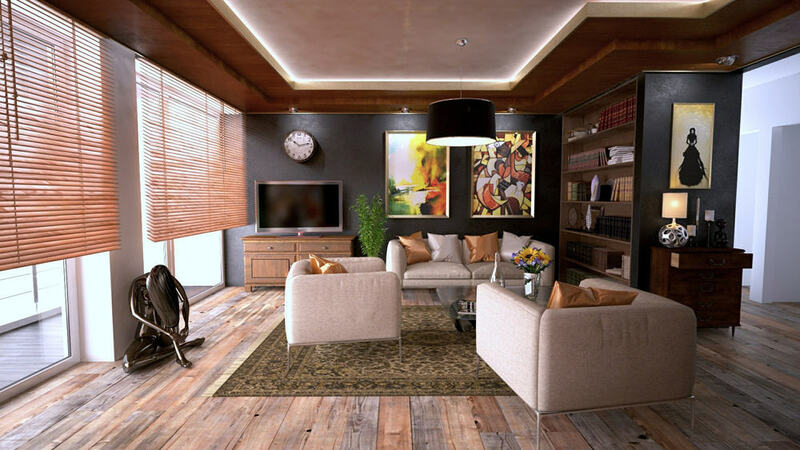 They can enhance the look of a room with proper lighting in varying styles of both formal and casual. Regardless of what you may have thought, window blinds and shutters are actually very easy to maintain compared to curtains. Also, it is more economic! You can simply wipe down blinds to get rid of any dust or other debris. Instead of having to take them down for cleaning like curtains. In addition to window blinds being easy to maintain, they are extremely durable! Especially window blinds in Cardiff which are made from wood or aluminium materials are very durable. Given the choice of materials, you can get so many different types of appealing look for your windows. As we have already mentioned, window blinds are an extremely cost-effective solution. The setup is hassle free, does not cost a lot, they are easy to maintain and long lasting. You can keep yourself warm in winters and cool during summers. With global warming becoming more an issue every day and the bills going up simultaneously, every penny saved is better than a penny earned! Additionally, blinds effortlessly enhance the look of your homes with a contemporary look in an elegant finish for very affordable prices. The reason for their popularity is they are easy to setup and use, and very safe for homes with kids & pets. Temperature control inside your home will directly save costs on your energy bills. You will be saving yourself from extra cool temperatures during the winter and using the heater less or at lower temperatures. So, you can cut down on energy bills by reduced usage. In addition to providing you with a nice looking home, privacy and safety, you can cut down on power costs. With innovative solutions like motorised blinds, anti-dust materials, etc. you will get an easy to maintain and cost-effective solution to get a more appealing decor to your home. We have discussed some of the top reasons of why you need window blinds & shutters for your home. Given these incredible reasons, you must already be considering window blinds. If you have window blinds installed already, you can go for the appeal of motorised blinds or a more elegant style with the various types of blinds and shutters we mentioned. If you have decided on which type of blinds you are interested in, then you can browse through our website for an amazing collection of blinds! Here at 3BlindsNice.co.uk, you will get all the different types of window decorations in a hassle free and enjoyable experience. Our quality and professional services will surely make you feel like a valued customer with some of the most competitive prices for window blinds and shutters. Get in touch today for a quote or to get your windows or doors measured for a professional to visit you and get your new blinds delivered and fitted within a week! You can give us a call and a friendly sales team member will be able to book an appointment convenient for you. You can even call to discuss quality materials and competitive prices at 029 2083 2631. Or send us a quick mail at our email address sales@3blindsnice.co.uk and we will get back to you! Are you on the hunt for new blinds for your home in Cardiff? 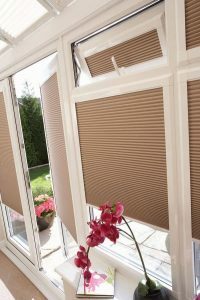 Today, we will discuss the top trending Cardiff blinds for 2019! Every room in your home serves a different purpose and shifts your focus to a particular mood & setting within that room. A closer look at each of our rooms and its decor will be proof of this. Blinds, shades, shutters, curtains or any other window decoration is not only about serving its purpose with shade, privacy, lighting but also style! The many different rooms have varying functionalities, as a result they require different types of decor in varying styles. 3 Blinds Nice understands and works according to the unique individual taste and requirement of homeowners for blinds in Cardiff. This is apparent through our wide range of products for an array of stylish choices for Cardiff blinds. With so many choices & styles marketed to the variety in tastes for homeowners, let’s look at the types of blinds that is the best fit for your home. Top Trending Blinds Cardiff (2019): What Type of Blinds Are You Interested In? Vertical Blinds are perfect for working with the light balance in your room. While allowing you to get full lighting access to your room from top to bottom; it also gives you complete privacy when needed. Vertical blinds are designed with slats running along from the top and come in two types: either opening from side to side, or by parting in the middle. Vertical blinds are perfect choice for patio doors and rooms with full windows from the floor to the ceiling. However, they can be used on smaller, traditional size, windows as well. 3 Blinds Nice is able to offer a wide variety of fabric colours like black/white, designs, faint watermarks, pattern designs, etc. for blinds you are interested in suited to your personal style. While looking fantastic, it also fulfils your objectives of getting blinds installed in your home. If you are looking to really brighten up your room with the most amount of light, then Roller Blinds are the perfect way. Considering you need the privacy, you get complete privacy once it’s rolled out. Roller blinds are designed in a single piece of fabric which can be easily rolled in and out. They are suitable for rooms where you require complete privacy but also, want the light to shine in to get the best exposure. It is a popular choice for the bath, bedroom or the loft area. 3 Blinds Nice offer a wide variety of fabric options, materials, colours to suit your styles. While the contemporary roller blinds are both stylish & practical, we offer made to measurements service. Another option is to use perfect fit frame on the Perfect Fit page of our website. Venetian Blinds are one of the most all-time popular style for blinds. They are designed with horizontal slats that are attached with a cord or strips of cloth, known as tapes. When they are raised, the bottom slat presses into the top one. 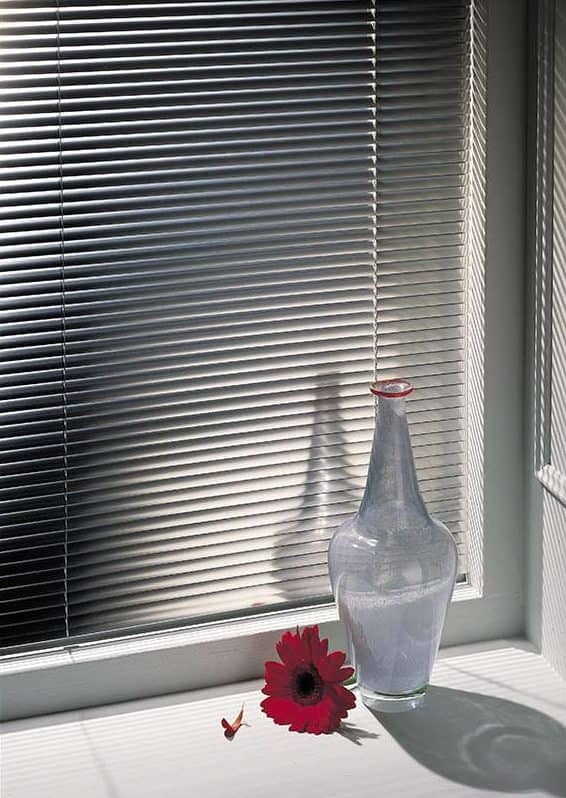 Aluminium Venetian Blinds are operated using cords to pull the blinds up and down. A wide range of colours from black to white and other options like soft tone, perforated, gloss and wood tone (aluwood) finishes to suit your personal home decor. We have different slat widths 25 mm to 50 mm for larger windows. Wooden Venetian Blinds come with solid metal head rails and are colour coded to match your colour theme. A colour coded wooden plinth covers the head rail, adding an even classier finish to your wooden Venetian blind. Roman Blinds are trending due to their traditional appeal as a window covering made of fabric like jute or sea grass. 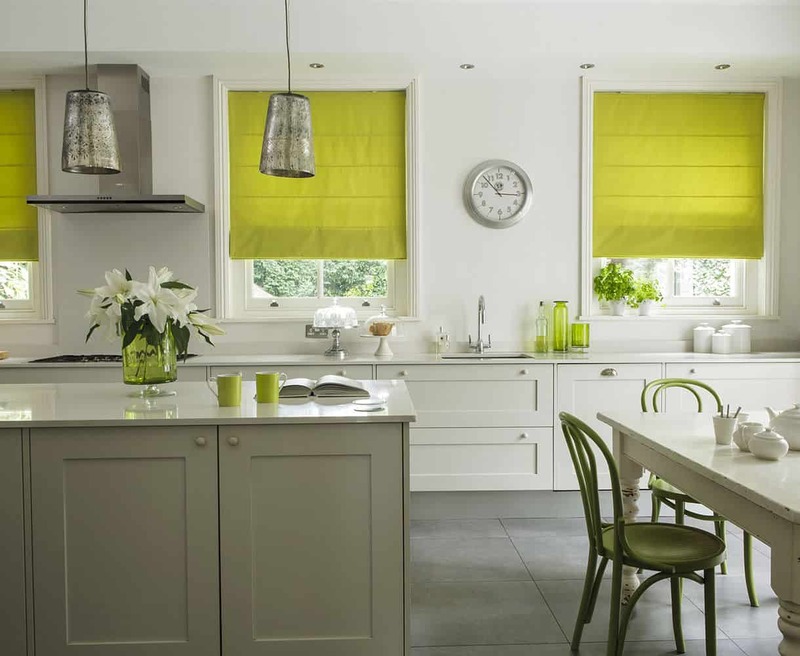 The design style of Roman Blinds is folded, meaning when raised the fabric folds into itself. As a result, the fabric forms a stack at the top of the window which is desired by many, but may not be the go-to style for everyone. The timeless look achieved through the folded Roman Blinds does take up some of your view on top of your window. Roman Blinds are operated using a pull cord for the sequence of folds. We offer fabric lining as a standard but the blackout option is also available. They are a great option for conservatories and larger windows to get the best of the stylish look of the blinds as well as a decent viewing area. Pleated Blinds like the name suggests, is pleated so that the material forms a pattern much like an accordion. While similar to Venetian Blinds, they give off an insulated look to your windows. While traditional blinds allow adjusting from side to side, they can only be raised or lowered. 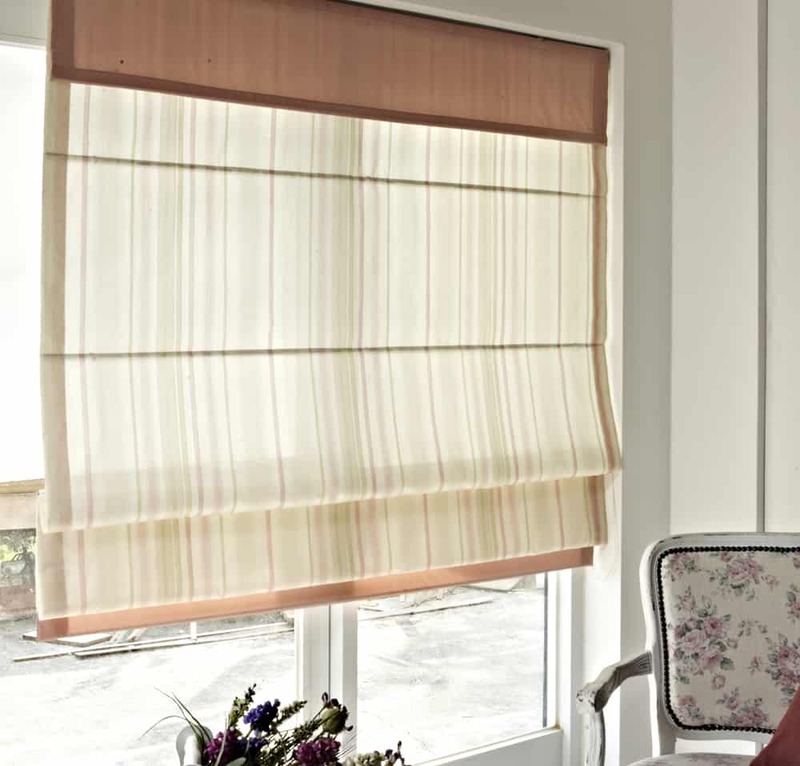 The most common material used for Pleated Blinds are fabric or paper. 3 Blinds Nice offers Pleated Blinds with a locking pull cord system to have it set at different heights as per your needs. In addition, to this you can also get blackout or solar protective coatings on Pleated Blinds. Plantation Shutters are more of the traditional inner window coverings made of wooden material. While it does offer a distinctive look for your home, it is an exceptional choice for a select few who admire the look. More often than not, most prefer the fabric material of the traditional blinds. They can be made in a range of shutter options at full height, tier-on-tier, cafe style or a track system. At 3 Blinds Nice, you will find the finest Basswood Plantation Shutters in two ranges of Madison and Vermont. The beauty of the wood is appealing to the eye and pleasing in performance. One of the most trending window coverings is the perfect fit options. Perfect Fit is a unique product which makes it possible for you to have a variety of blind types fitted within a frame. It eliminates the need for you to drill or screw into frames and allows you to fit exactly to your windows. Not only is the installation easy but it also leaves your property unharmed. Blinds created using Perfect Fit offer both shade and ventilation on all window types. 3 Blinds Nice will ensure that the Perfect Fit blinds Cardiff for your home is capable fitting into the toughest of places with awkward shapes such as in conservatory roofs or lofts. Perfect Fit blinds are available in various different colours, shapes, sizes and perfect for double-glazed windows or doors. What are motorised blinds, you may think! Well, with all of the blind options that we have discussed which are the most trending blinds, can become a motorised blind. We offer the option for you to make your blinds remote controlled. With such an option, there are numerous advantages. So, with an easy to use remote control you will be able to easily raise or lower your blinds without having to physically do it. Consider the hassles of pulling a cord, twisting, the risk of cluttering, safeguarding from children, all gone with a simple remote control. With no visual difference, you maintain the stylish blinds to enhance the look of your rooms while a discreet motor makes your blinds remote-controlled. You may even get automatic adjustment settings based on the amount of daylight. Transforming your home to a smart home! 3 Blinds Nice has been in business since 2005 and are proud to have served not only thousands of households in Cardiff but nationwide with beautiful blinds. We also have experience in serving many organisations such as the National Health Service (NHS), Local Authorities, schools & small businesses. If you are a business owner, then we provide you with commercial blinds to suit your business style. 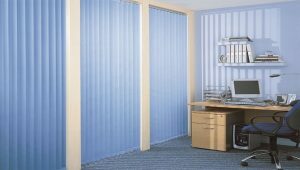 Call us to arrange an appointment regarding commercial blinds Cardiff for your offices or work spaces. Our friendly blinds Cardiff sales team is available on: 029 2083 2631. By now, you will have made up your mind on what type of blinds you are interested in. If not, then visit the 3 Blinds Nice website and look at all the amazing blinds of different types, styles, and pick your favourite. Enhance the look of your home today with gorgeous, decorative blinds! Our goal is to make your purchase or replacement of blinds a hassle free and enjoyable experience. Expect the best of Quality Service with reasonable pricing as a valued customer of ours. We will have your windows or doors measured and tailored by professionals, delivered and fitted for free within as little as seven days! Are you ready to purchase new blinds for your home in Cardiff or your business? Make a call at 029 2083 2631 and a friendly member of our sales team will make an appointment for you. One of our sales representatives will see you in the comfort of your own home or business to discuss your requirements, materials and prices. You can also contact us on our email address sales@3blindsnice.co.uk with your query or call on our mobile number at 07970770860 for urgent services. Now that you know all the exciting options you have available for blinds in terms of design, materials, colours and prices, you are ready to decorate your home according to your style & budget. The conservatory is a great place to kick back, relax and enjoy natural light and heat from the sun on those sunny and pleasant summer mornings and afternoons. 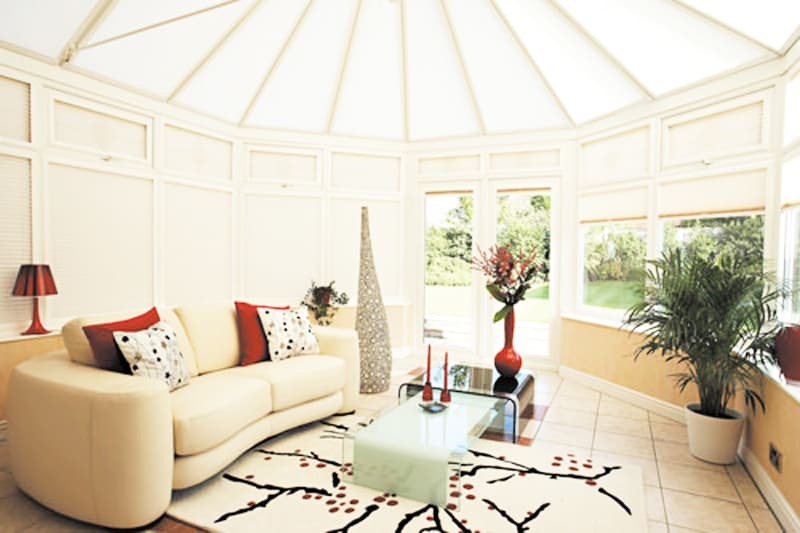 But as the season changes and the weather cools down, your conservatory can suddenly turn into an unused space due to the uncomfortable coolness of the temperatures. Sometimes this happens in the middle of the summer too, when the heat becomes so intense that it’s no longer pleasant to sit or recline on that chaise lounge you have in the conservatory. The ideal solution to this problem is to introduce blinds into the conservatory. Adding blinds to a conservatory or a sunroom makes it versatile and pleasant enough to enjoy throughout the year. In fact, the right blinds can even transform the space so that it adapts to the seasons, thus increasing their usefulness and the value of your home. The good news is that you can get custom-made blinds that are built according to the measurements and specifications of your conservatory so that they instantly feel natural once you introduce them to the space. 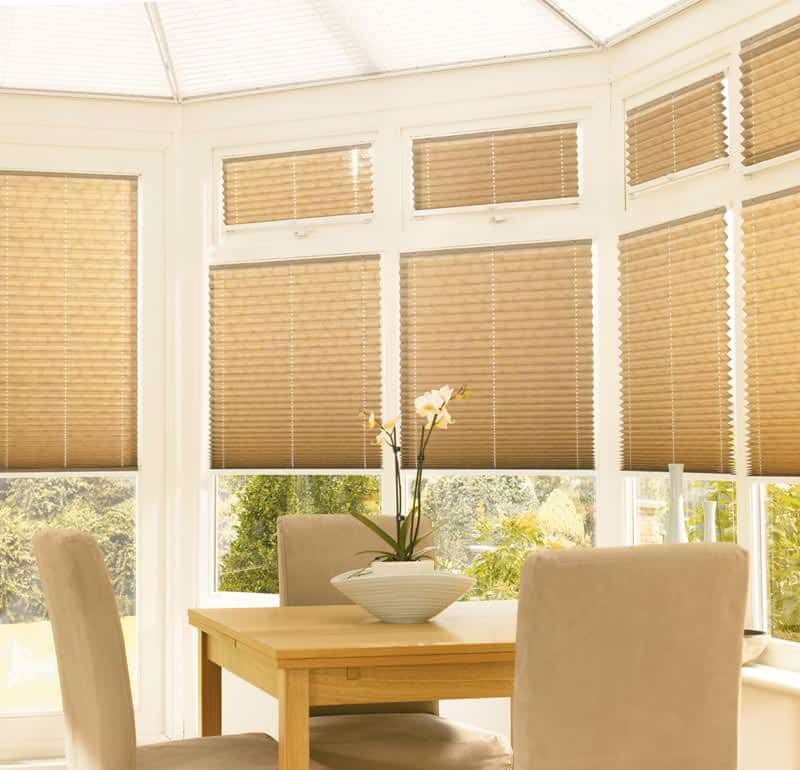 Read on for more ideas on how to choose the right blinds for your conservatory. Hanging blinds from the roof and the windows of the conservatory can literally shift the entire look and feel of the space. Blinds allow you to better regulate the temperature in the conservatory so that it stays pleasant no matter how cold or hot it is outside. The blinds will also enable you to reduce sun glare so you can enjoy watching TV or using your smart tablet when you’re in the conservatory. The blinds will also add privacy to the space as well. Before you get blinds for your conservatory, keep in mind that not all blinds are made equal and some are actually not suitable for this type of space. 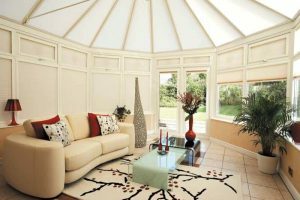 Ideally, you want the blinds in your conservatory to be a neat and immaculate fit so that they don’t look out of place. The best way to achieve this look would be to get blinds that are specifically designed for conservatories, sunrooms and orangeries. Most custom-made conservatory blinds come with sun protecting qualities that help to harness the heat in order to keep the space cool during the day and warm at night. You can also get special blinds that are recess fitted into the window frame for a truly snug and custom fit, no matter what shape your conservatory windows are. It’s important to make sure that you get blinds that match the existing atmosphere and theme of your conservatory and if your conservatory has that homely timber design which creates a traditional feel, then you’ll be glad to know that there are blinds to suit this particular theme. For example, you’ve got pure pinoleum blinds that fit seamlessly into a traditionally designed conservatory, while featuring modern technological features that have become synonymous with modern-day blinds. The best thing about wooden blinds is that the wooden weave is very effective at cutting out glare and ensuring privacy, and yet it still makes for a very serene, buoyant and airy feel. If you like, you can also get pinoleum blinds with solar lining that will help to retain heat during the summer while keeping the conservatory warm and insulated in winter. Plus, you can get wooden blinds custom made to your individual specifications and preferences. Motorised blinds are a big trend in the modern days where smart homes and automated cars are becoming the norm. 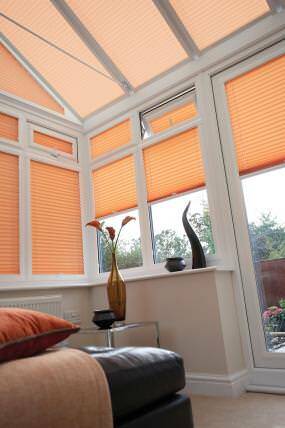 They are ideal for a large space like the conservatory, which tends to require quite a lot of blinds. One of the benefits of having motorised blinds is that you can literally control them from a remote or a tablet so that you don’t have to go around opening and closing them manually, which can be quite stressful on the arms. You can also use the remote control to operate all the blinds at the same time, or one by one depending on your preference for the day, and all of this control is available to you at the touch of a button or the swipe of a finger. Pleated motorised blinds are a great option because they fit neatly into conservatory windows and easily fold and unfold when you need them to. Whatever you do, make sure that your blinds are incorporated into the conservatory in a way that’s seamless and natural. You want the blinds to have a neat and stylish finish that not only adds to the overall aesthetic of the room but enhances its functionality as well. You can paint the blinds so that they match the tone of the window frame. Powder coating is usually the best way to go because it’s able to blend seamlessly with the rest of the color palette. In a nutshell, stylish blinds are very inviting and introduce warmth and style to your conservatory that you simply can’t get with bare windows. Whatever you do, make sure that your conservatory blinds are installed by experienced and skilled experts who will ensure that they look neat and fitted. Ideally, you want a service provider that makes their own blinds instead of a middleman that just imports them, because then you’ll have access to a wider range of options. Plus, custom-made blinds tend to fit better and last longer as they instantly look and feel natural when you incorporate them into the space. The service provider you choose should also have a team of skilled and salaried employees that will take their time to ensure that the blinds are installed and fitted properly. The result will be complete control of the temperature level in your conservatory, total privacy, and the ability to enjoy your comfortable and stylish conservatory all year long. The right blinds can literally transform the look and feel of any room, especially if they’re the type of blinds that are able to seamlessly blend practicality with decorative value. That’s why it’s so important to be selective when choosing blinds for your home because they could be the defining factor in the overall ambiance of the place. If you’re looking for inspiration on how to choose the most appealing and functional blinds for your needs, then you’ve come to the right place, as we’ve got some of the most interesting and stylish window treatment ideas for you to take inspiration from. Some of the hottest styles at the moment when it comes to blinds include Swedish fabric, roller and Roman blinds, all of which are very versatile options that often work for a variety of different rooms, as you’ll see below. Roman blinds are undoubtedly chic and elegant but they’re not the most durable option because their cords tend to snap or fray over time, and require frequent replacing. If you’re looking for blinds for your bathroom or kitchen area, then roller blinds are the most practical option. That’s because they feature protective coating which protects against environmental contaminants, dirt and debris, which helps to extend their lifespan. This makes them quite appropriate for moist environments like the kitchen and bathroom spaces. On the other hand, Swedish blinds are not only practical but simple to make as well, and they tend to add a positively relaxed feel to any room. That said, re-rolling Swedish blinds can be an awkward task if you open and close them frequently. Plus, you need to make sure that they’re neatly rolled every time so that they always look tidy and stylish. 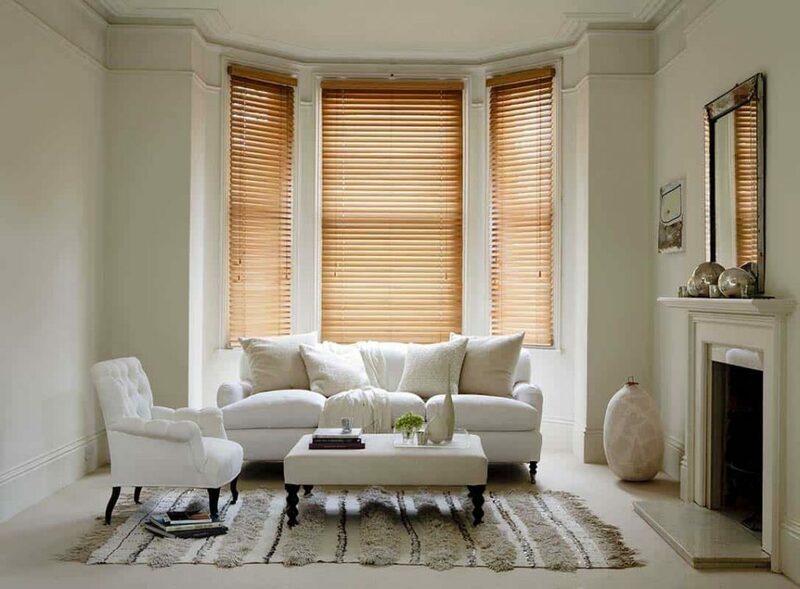 Venetian blinds and shutters are often preferred for their functionality because although not as attractive as the styles mentioned above, they make it easy for you to control the amount of light that enters the room in which they’ve been installed. For multipurpose rooms, you’ll do well to combine both blinds and curtains, as these options allow you to change up the window dressing as you wish from day to night. You can use this combination in spaces like open plan kitchen and dining rooms, or living rooms that double as sunrooms and reading rooms. For a more customized option, you should opt for blinds that have been fitted out with a blackout lining. This option is ideal for bedrooms that have large windows, as they’re able to totally cover the frame. On the other hand, if you want to create a unified style and look in a room with multiple windows, go for uniform blinds. If you’re shopping for blinds to install in a children’s room, then we highly recommend that you go for cordless blinds or blinds that come with a spring mechanism. Make sure you follow the provided installation instructions to the latter when you put them in. 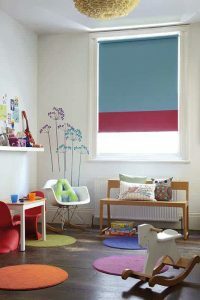 Cordless or spring blinds are the most child-friendly and safer option available, and legislation has even been developed to stipulate the correct way to install them to ensure maximum safety for the whole family. One of the best ways to add colour to a basic décor scheme is to introduce matching striped Roman blinds. For the best results, hang the striped blinds directly over the frame, so that the windows are completely uncovered when you raise them. That way, you’ll invite way more natural light into the space than you would if you hung them lower. Floral print blinds give life, vibrancy and colour to rooms that feature a mostly pastel colour palette. Through this approach, the window becomes the focal point of the room, and you can take it a step further by choosing a lightweight fabric that allows for natural light to stream in even when the blinds are lowered. The best part is that you can pick your fabric of choice and then have the blinds custom made according to your specific window measurements. For functional spaces like conservatories, living areas, kitchens and bathrooms, you want something that’s equally practical, and the clean lines found in slatted or Venetian blinds usually work really well in this regard. Luckily, you’ve got a wide range of textures and styles to choose from, even with this simplistic style, including metal, painted wood and different wooden options. If a no-fuss and relaxed look is what you’re after, then Swedish blinds are your best bet. Not only are they easy and straightforward to install, but they feature a pull-cord system and double-sided fabric panel that make it even easier to control them. You can add even more interest with this style by featuring a different design on either side. 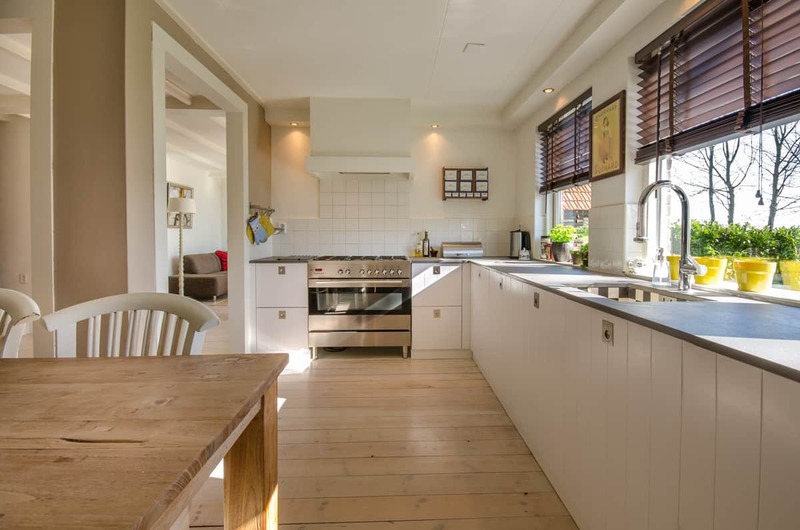 It’s often recommended that you fasten your Swedish blinds to the interior frame of the window or door that you’re covering so that they don’t move when you open the door or window. This is part of what makes them such a practical and popular option for backdoors and bathroom openings. For a more flexible and versatile option, consider the combination of curtains and blinds, which enable you to filter the light as you wish, while insulating your windows against cold draught. Just make sure that the designs you choose don’t end up clashing. Whether patterned or plain, they should complement each other through the colour scheme or by having a similar design. For example, you can opt for a neutral colour scheme that combines different shades of peach or beige, or if you’re decorating your child’s nursery then you can go for adventurous blinds with colourful animal prints, complemented by neutral coloured curtains that pick up on the colours featured on the blinds. In this article we will explain how to choose the right Roller Blinds Cardiff. Roller blinds are a great way to enhance and beautify the window area of any space. They’re usually fitted on a roller and are very easy to install. They’re also available in a wide variety of different styles, textures, fabrics, and colors, and are functional yet aesthetically pleasing. This choice variety makes it easier for a homeowner to choose a color or style that’s aligned with their existing color scheme and décor theme, which then creates a personalized look that seamlessly fits in with what’s already there. That said, choosing roller blinds is not easy, which is why we’ve compiled a list of specific factors that you should take into account when shopping around for them. The first question you should ask yourself when shopping for them; what will I be using them for? Do you just need them to keep out sunlight during the day or will they be used for insulation purposes as well? It’s much simpler to find blinds once you know what you need them for. For example, plastic roller blinds are an ideal option to use if you’re looking to keep your home warm and nicely insulated, whereas block-out roller blinds are an effective way to block out sun rays in a hot climate. Before you start shopping around for blinds, measure the windows that you’ll be fitting them onto so that you have the exact measurements on hand when the time comes to pick a particular design or color. If you’re not quite sure about how to go about getting the exact measurements, hire a professional to come over to your house and take them for you. This is a very important step because the price you’ll be paying for your blinds is highly contingent on the amount of space that they’ll be occupying. That said, ready-made blinds are available as well, and not only do they come in a standardized shape and size, but they provide better value for money when compared to measured roller blinds. Searching the Internet, you’ll find countless websites that sell this type of product. Most of them have a wide variety of options to suit different needs, budgets and preferences. 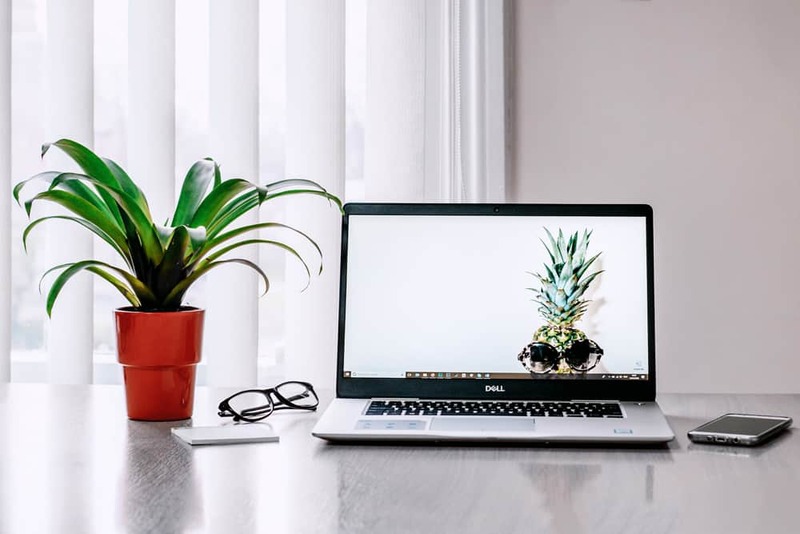 However, in order to get really good roller blinds online, it’s often recommended to not click on the first website you come across, but rather shop around and get a few comparison quotes from different providers. To get window blinds fitted in Cardiff, Bristol, or Swansea areas 3 Blinds Nice is at your service. Making comparisons will expose you to a broader variety of options and give you a good idea of what’s available in terms of price and quality. So, take your time and look through the different choices carefully so that you only choose roller blinds that will satisfy your tastes, needs, and budget. In comparison to normal window covers, roller blinds are admittedly costlier but the price difference is definitely worth it. At the end of the day, you get a product that’s elegant, functional, and durable. So, regardless of whether you’ll be installing them in your kitchen, your living room or bedroom, this type of window blind are versatile and offer great value for money, especially if you choose high-quality ones. If you, like many of us, are wondering what ‘perfect fit blinds’ are, then you’re in good company. Very few people actually know what this phrase means, and we’re sure that if you were to guess then you’d probably say that it refers to a specification or description of blinds. The truth is that perfect fit blinds are actually a type of blinds that are tailor-made for a particular space so that they fit nicely when you clip them in, and they’re usually made for double-glazed or uPVC windows. You don’t require control cables, with this product, and the overall effect is usually a trimmer and prettier window frame. Installing them is also a hassle-free process. The best part is that you can install perfect fit blinds in any of the rooms in your house, with the only condition being that the uPVC design should be optimized to fit the clips. These style of products are available in different shapes and designs, including roller blinds, pleated blinds, and Venetian blinds, all of which are available in different lengths, patterns, and colors. You can even order thermal or blackout options that perfectly fit the particular needs of your space. Apart from the fact that they’re versatile and wide-ranging, what makes them an even better choice for homeowners is the fact that they allow natural light to flow into any room that you fit them into. Once installed, they will look neat and compact, which makes it easier for the sun rays to beam through because there’s less clutter preventing the light from coming in. They look especially stylish and fitting for smaller rooms because they don’t take up much space on the window frame. The good news is that you can also use perfect fit blinds in other spaces like conservatories, and any other room that has uPVC windows. Because they are custom-made for your windows, it’s important to measure the window frames that you’ll be fitting them into very carefully, so you can have a truly perfect fit. For the best results, we’d suggest that you ask the blinds company that you’re purchasing from to hire a surveyor or professional tradesman to do the measurements for you. If you’re not quite sure what type of perfect fit blinds will work for your space, then you’ll do well to ask the surveyor or measurer for advice while they’re taking the measurements. You can even ask them to bring samples for you to see what the different options look like when installed. While there’s a seemingly endless selection of blinds for consumers to choose from these days, these types of blinds are fast becoming a very popular option for homeowners. That’s because they’re versatile, functional, and are available in a wide variety of styles, colors, and patterns. So, whatever your budget or preferences, you’re bound to find the ideal for your needs! These days, there’s not a single home that doesn’t have at least one set of blinds or drapes. They have become an inevitable part of our lives as they provide shade, privacy, and the finishing touches that our rooms need. If you are interested in adding prestigious textiles into your home, then keep on reading as we’ve compiled all the things you need to know about Roman blinds. Roman blinds are window coverings made of fabric that’s designed to fold into several pleats when raised. This solution is extremely popular as they come in a wide range of designs. Most home improvement stores across the country have suitable products in this range available for purchase. These stores ensure that they have a full stock of Roman blinds in different designs as they keep on flying off shelves. If you want your Roman blinds to be made of a unique and elegant fabric, then you can have yours custom-made. As we said earlier, the main benefit you get to enjoy with Roman blinds is essentially the unlimited options that you’d be able to choose from. A hobbled fold – It’s quite traditional. It consists of fabric loops all throughout the blind. A relaxed version – This one is both lovely and casual. You won’t find any horizontal dowel rod running through this blind. Instead, the blind is raised through cords that are running vertically down on either side. A flat fold – This sports a contemporary style. It’s made with a complete fabric piece, which means it’s excellent for patterned fabrics. With different styles combined with the fact that they can be constructed using almost any type of fabric even sheers, you are bound to get the style that suits your home best. Traditional types have a series of cords and rings. Sometimes, they come with dowel rods. The cords create loops when they are pulled from the shade. This is a strangulation hazard, which is bad news if you have pets and/or children. Make sure the cords are out of reach of children and pets, and you won’t have to worry about anything. Today, homeowners can purchase these products without going through a lot of hassle. Several online stores that offer home improvement items stock up on Roman-style blinds. They can even provide you with free fabric samples in case you want to check fabrics in person before you purchase. Overall, Roman blinds are among the most outstanding home accessories you can incorporate into a living space. They offer sophistication and elegance regardless of where they are placed, which is exactly the reason why you’ll never go wrong with them! Above all else, they provide the most affordable and stylish way to block or filter light, increase privacy, and stop drafts. What Exactly Are Vertical Blinds? They are commonly used as blinds for patio doors. However, they also work extremely well for windows, especially the wider ones. When it comes to choosing the right ones, there are so many options available from faux wood, perforated blinds, vinyl, and fabric, which are our personal favorite as they allow us to match the window treatments to your home décor. When you check the market, you’ll find that they cost an average of £200 per set. This is for a window with 66 x 84 x 78 inches as dimensions. For windows that are 104″ wide and 100″ high, £300 window blinds are more suitable. You can have custom-made, same-day turnaround from many manufacturers. Most of them also offer S-curve variants, which are somewhat special as they make the window look like they are covered with curtains. Self-lubricating wheels can help the tracks move smoothly without having to purchase a WD40. UV coating can preserve the colour and allure of vertical blinds. For houses that are located at high altitudes, the light intensity is stronger, so UV coating is worth the extra money. The most problematic enemy of horizontal shade products is dust. As for verticals, they are less susceptible as gravity prevents dust accumulation. In case yours need a bit of cleaning, all you have to do is wipe it with a mixture of mild detergent and water. Vertical blinds can come with wand control, which gives a hundred percent cord-free application. This is great for homes with pets and children. Most available on the market today are 100% cordless. If you value child safety and your peace of mind, you must only get cordless window treatments. You can get vertical blinds from 3 Blinds Nice, Levolor, Lowes, Smith and Noble, Hunter Douglas, Walmart, Target, Overstock.com etc. Depending on the brand or retailer, the season, and the promotions, you’ll be able to get high-quality products for as low as £80 or as high as £500. They are readily available in several different styles, shapes, and colours. While they are great for wide windows, there are models that can now be used for single or small windows. PVC options would be your most economical choice. However, fabric will give you more colour and style choices. They also come with a superior ability to protect your home against sound, heat, and cold. Regardless of what you choose, we are sure that you’ll get the best solution for your home as you’re now equipped with all the things you need to know about Vertical blinds.